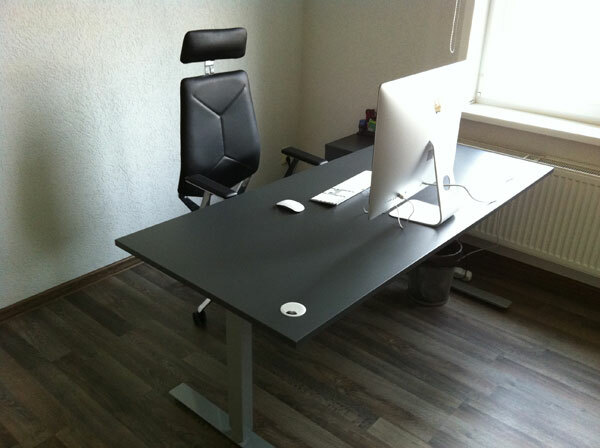 New Office – First iMac and £400 Electric Desks! Regular readers of my blog will probably have noticed that over the last few months I haven’t been very active in terms of publishing new content, well at least not as active as I’d like. But there was a very good reason for this – I spent July, August and September moving into a new office which took A LOT of time and energy (plus mental anguish!). We all know how it is with a move, and this one was no different – nothing went to plan and every schedule quickly went out the window. Some of you may remember that early this summer, after finishing work on the brand new version of Easy Auction Business, I promised myself that I would spend the rest of the summer with my family, just take some time off and recharge myself for the new season. I’ve had plans to expand for some time already, particularly as my new handmade greeting cards company needed more space for assembly work stations, warehousing etc. 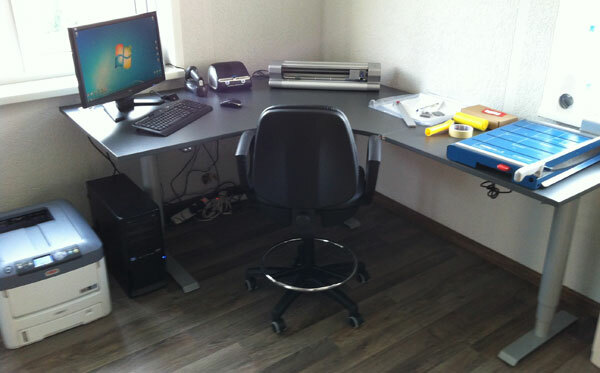 And early in July, I received an offer to rent a bigger office space not far from our previous location. The offer was so good that I couldn’t resist and signed-on and as the new place needed some renovation I spent most of July and August on that, plus of course the actual moving process itself. But nothing to worry about now as luckily this has all be done and we’ve been settled in our new office for a few weeks now, continuing with work as usual. So in today’s blog post I wanted to share a few things with you that I have implemented in my office to improve productivity and in general – make the whole office routine more enjoyable and easier to handle. 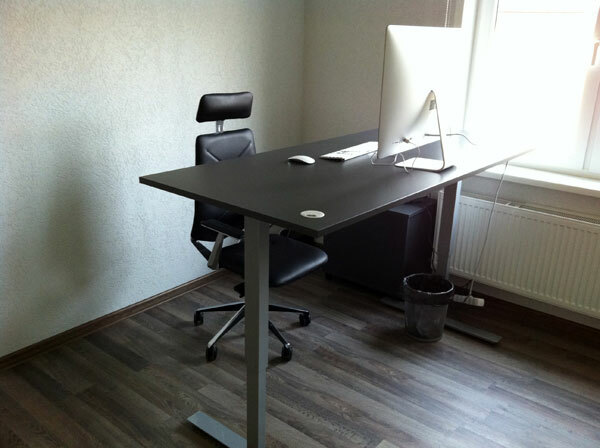 The first new thing I wanted to bring to our office was height-adjustable desks. Mainly for health reasons of course as we all know how bad it is for you to sit down in front of a computer all day long. Also, keeping in mind that the employees for my new greeting card company need to work on various machines, I really wanted to offer them the best in terms of workspace ergonomics. Now some of you may never have heard of them before so might now be wondering what on earth these height-adjustable desks actually are? Well basically they are normal desks with one important distinction – you can alter the height with the push of a button. They have a special motor underneath the desk which is powered from the mains and a small up and down button panel screwed beneath the desk surface. 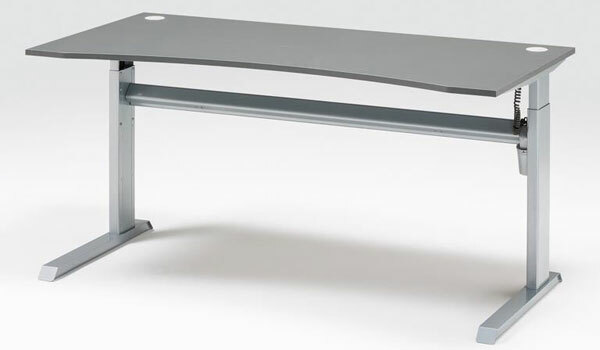 When you have such a desk, you can quickly go from sitting mode to standing mode in less than 10 seconds. This is exactly what’s needed for a modern office worker so that you can work standing for at least a few hours a day and not be slumped in a chair 100% of the time. After doing some initial research, I settled on the Flexus desks from AjProducts.co.uk Prices start from a little less than £400 (excl. VAT) and go up based on desk dimensions and configuration. 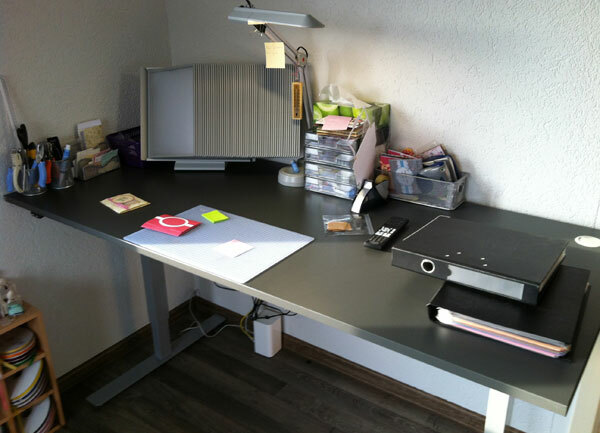 Yes, this is not cheap BUT just so you know – a few years ago the cheapest electric desk you could find sold for no less than £1000 so £400 really isn’t that bad considering what you get in return. So in the end I ordered five of these desks for our new office and I’m very happy with them! The build quality is superb and the speed of the motor is good (you can go from the lowest setting to the highest in about 10-15 seconds). Maybe the only downside is the noise the desk makes when you run the motor. It’s not unbearable but it is noticeable of course. That doesn’t really bother me though as in general we have the radio on all day long in our office and it’s not like we work in a law firm or something like that where people have to be 100% engrossed and concentrated on what they’re doing all the time. To sum it up – height-adjustable desks are now more affordable and if you do spend all day in front of a computer, it’s a great investment to make! Not only does it improve your blood circulation when you’re in standing mode, it’s actually quite comfortable to work like that for at least a few hours a day. Yes, I finally made the move and switched to a Mac for my main workstation. As I already have several Apple products (iPads, iPhones, even a MacBook Air) I’ve been considering switching over completely for a few years now. I really love the simplicity and ease of use with all of the Apple products I own so it wasn’t really too hard for me to make the decision to switch fully, which meant changing my workstation computer too. And as my previous Windows PC was getting laggy (again) plus with the new office move, I thought – it’s the perfect time to go shopping for a new iMac! The model choice was very easy for me. I really like working on big screens (my previous PC had a 24 inch screen) so I picked up the biggest available iMac version with a 27 inch screen. For what it’s worth, I think the screen size is excellent and it allows me to freely work with multiple tabs open at once. How easy will it be to switch from Windows to Mac OSX after spending my entire life with Windows based machines? What to do with software that is Windows-only? The first issue turned out to be much smaller than I anticipated really. As I was already used to Apple products, even my laptop was a MacBook Air, it was actually very easy to start using OSX full time. Yes, it took about a week or two to get used to things, find all the settings etc. but it was still a very easy move, especially after I watched several videos on YouTube on how to go from a PC to a Mac. I had to make one additional purchase though which kind of ruined my “empty desk look”. I’m talking about a wired keyboard. Originally iMac comes with a bluetooth keyboard which is all good and looks great as it means the only cable you have coming from your desk is the power cable from the back of the iMac. Unfortunately, as good as that wireless keyboard is, it doesn’t have a numeric pad/block on the right side like a full-size keyboard. As I work with a lot of data, I really needed the number pad to stay productive with these tasks. So I had to order the wired version of the same keyboard which comes with a full numeric keypad as well as bigger function keys (Ctrl, Alt, Shift etc.). Yes, now I have ANOTHER wire on my desk which isn’t ideal so I do hope Apple come out with a bluetooth version for this keyboard very soon. I’ll be the first on the waiting list. As for the second issue – what to do with the Windows-only programs that I need to use for my businesses? Well the solution was also a very easy one but it did come with an added price tag. What I did was purchase a Windows 8 license as well as Parallels Desktop software for Mac. I have already briefly talked about Parallels Desktop in my Turbo Lister Alternatives for Mac Users article but just so you know – this software allows you to run Windows simultaneously with OSX WITHOUT the need to restart your machine! And it is dead easy to use! 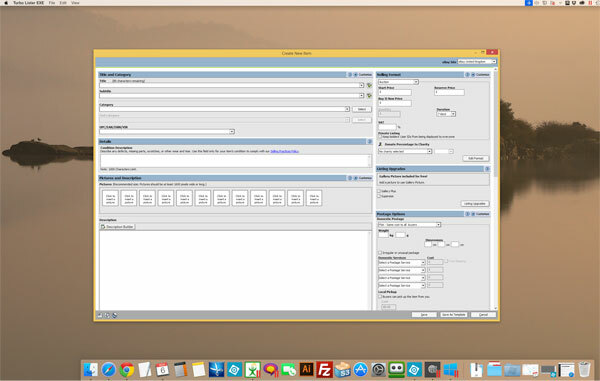 All you have to do is click on any Windows program you have installed and the magic happens within a few seconds… your Windows application opens within OSX and you can switch between Windows applications and OSX applications just like you would if they were the same operating system. Amazing! Up until now I haven’t found any bugs in this whatsoever – Turbo Lister and a few other Windows applications that I’ve tried have worked perfectly, just as they did before. Also, the good news is that more and more software programs are now being made for both Windows and OSX, and for a reason of course! While a decade ago only creative people, designers, writers and die-hard Mac fans used Apple computers, nowadays more and more people are making the switch and this creates pressure on software companies to release their products on both platforms. We still do have many Windows PCs in our office but in future I think we’ll switch over fully to Apple workstations to destroy any possible compatibility issues that we might face while working from both systems simultaneously. With the purchase of iMac, I also ordered a 3TB Time Capsule – a product I wasn’t actually even aware of before I started looking into this. It’s more of a consumer product than business but in our small office it found a perfect place and function to carry out. 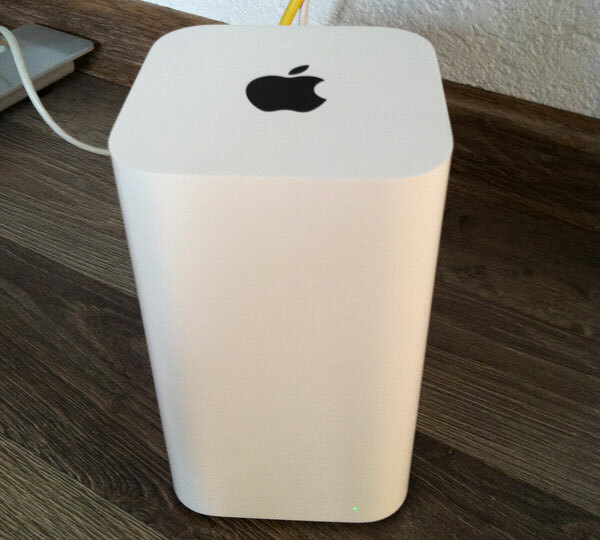 What is Apple Time Capsule? It’s basically a wireless router with a built in hard disk drive. They come in two versions – 2TB and 3TB. It’s a very small, good looking (Apple?) device you can use for multiple tasks. 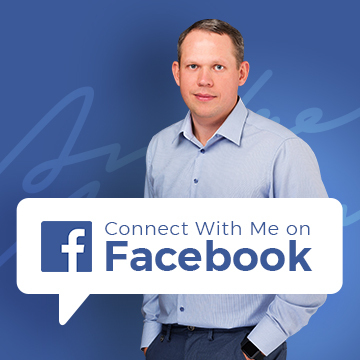 How can it help in your business? First of all, it works as a wireless router, a GOOD wireless router. I’m simply amazed how good the signal is from such a small box. Our office is located on one floor and there are many rooms separated with concrete walls and STILL – even in the furthest corner of the office, the wireless signal is perfect! I’m already planning on ordering this for my house as well, purely for the strength of the wireless signal it provides. Next – as it has a built in HDD, you can use it for doing back-ups of your computer. If you have an Apple computer, it comes with special software for this built-in called Time Machine which is basically an automated back-up tool that will regularly back-up all of your data to your Time Capsule. And I really like the extra thought Apple engineers have put into this. For example, it automatically offers to do back-ups at night, when you’re not using the computer, so that you don’t suffer from loss of performance while the back-up is taking place. Also, the whole set-up/configuration process is super easy, not like with other back-up programs I’ve tried in the past. Now, the other cool feature I like about this small box is that it can also act as a SERVER! You can connect every computer you have via the same wireless network (and it can be a windows computer too) and Time Capsule simply shows up as an external drive where you can store any files you want. So if for example in your company several people have to use/access/work with the same files, you can just store them on Time Capsule and they will be available to everyone. Last but not least, it also turns ANY printer into a network printer with ease! 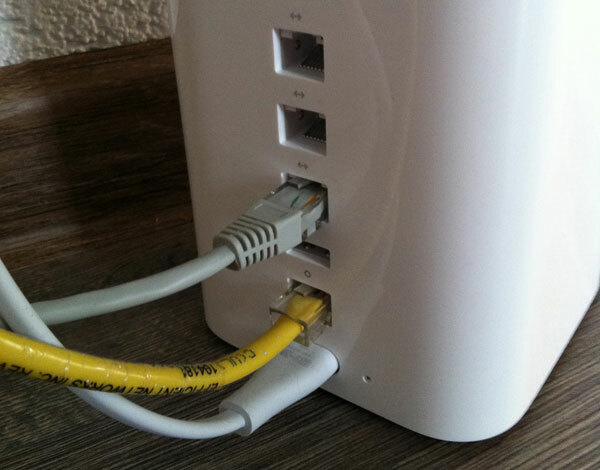 All you have to do is connect your printer to Time Capsule, install drivers and it instantly becomes available to all computers in the network. How cool is that? All wire free! Besides that – there are additional USB connections you can use to add even more storage space – external hard disk drives to increase your storage capacity to dozens of terabytes, if you so wanted. I hope you agree – for such a small, stylish looking white box – it does an awful lot! As with all Apple products, I have yet to face any errors or technical problems with it. It just works, 24/7 and hassle free. Speaking of reliability – I still have a Dymo 400 running as new that I purchased 7 years ago! After tens of thousands of labels! For the price they cost, I think they’re amazing value for money. I also have several Dymo 450s which are the updated version of the 400 model and they’re all perfect. 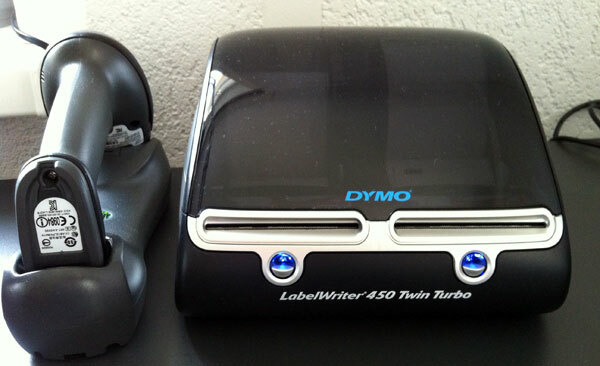 But now I have also invested in the flagship model, the Dymo Twin 450 Turbo. Turbo stands for extra speed but the most interesting thing about this machine is that it can take 2 label rolls simultaneously. This is very handy when you have to use different label sizes and don’t want to constantly have to switch the rolls around! Dymo’s software automatically recognises which label size you have in each compartment so you don’t even have to manually select which side of the printer you want to use. The only downside of it is that you CAN’T print both sides at the same time. Before purchasing the printer I thought you could do this but it turns out that’s not the case and you can only print one side at a time. But this being a Turbo printer, it’s not a problem really as it prints SO QUICKLY! 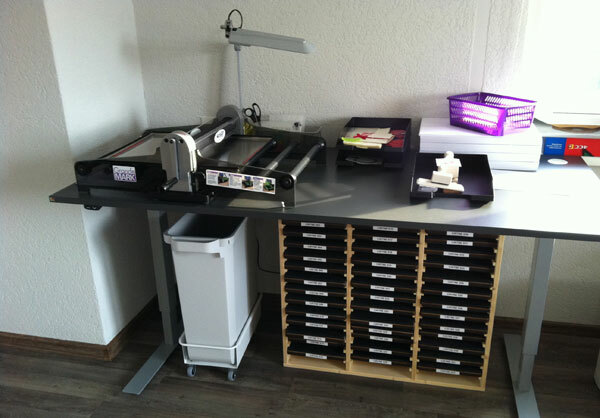 And it does not overheat even if you print several hundred labels in a row – just amazing. Yes, when printing graphic rich labels, such as ones with barcodes, it slows down a bit but for plain address labels, it’s very, very fast (to say the least). 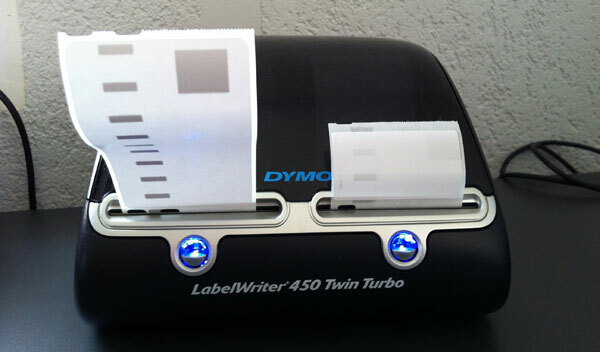 If you’re printing any kind of labels and still don’t have a Dymo machine, get one now! With compatible labels being so cheap nowadays, the running costs of such machines are almost non-existent but it adds so much to your business in terms of time and productivity. Well, that’s it for today. I hope some of this was interesting to you! If you have any questions or comments about anything mentioned in this post, be it electric height-adjustable desks, moving from PC to Mac, or about the move in general, then please feel free to leave your comments below and I will personally reply to each of them. P.S. Did you know that Christmas is just 7 weeks away? Bummer!!! Good to see things are movin in the right direction for you. I was wondering what disposal methods you use for getting rid of pallets / non reusable delivery packaging? I’ve heard some companies charge the earth and would be interested to know how you deal with this as as we get bigger this becomes a growing problem. So I just picked the genuine, wired keyboard with numeric block. First of All congrats for the new office. Also Thanks for the reply you gave me some days back on the other post. It seems I am confused between many things since I am the only one operating the entire business process right now. To give you an idea, I am right now selling around 60 products (Mobile spare parts). More then half of them are available as inventory. Some are dropshipped directly from supplier in China. My target is to expand the product portfolio to around triple in next 2-3 months. I will put forward the questions (more of help) in points. 1.) Right now I am the only person to operate entire business as I said. But there is one employee (works as courier guy in the company I used to work at). I actually used to get my orders shipped through him earlier. Now, he is the one who maintains my warehouse. He stores the inventory with him. He doesnot know exactly that I sell on ebay. So, I send him list of orders with shipping address via mail almost every evening. He packs, ships and reply back with airway bill numbers. I then mark those details on ebay. So, time consuming. I had thought of giving my ebay login to him so that he himself real time access to all orders and he himself would mark shipping details on ebay. Shall I do this or do you think I can save this time by some other way which I might be not aware of..? 2.) Next issue is that I have my own personal number registered on ebay. Also, I am the one handling all email questions and calls. Since some mobile spare parts I sell are also expensive, I do receive queries from customers before they actually place order. I skip many emails due to busy schedule and hence customers are missed. Since, I am the owner plus worker in my entire business, I also randomly give discounts to customers if margin is ok and like that. So, do you think I should keep somebody for email and customer support..? How tough do you think it is to explain someone the whole business and the way the replies need to be given. Also, is i advisable to hire a full time person for this job or part time..? What all access would be given to this employee..? Email ofcourse. Also, since the employee would need to have price , all product range etc, ebay access also would need to given. Right..? Am I missing something here which might make my life easy..? but still manual customer queries need assistance. Also, could you please give sample email to be configured on selling manager pro which should be sent on receiving order? 3.) ok. So, next thing is turbo lister. I have learnt quite a bit. Infact I have also learnt HTML for building description of listing. But would you help me in getting HMTL code for some awesome listing or of some listing which you feel should be like. I will edit the code accordingly and have my own description of listing ready. But writing from scratch is cumbersome, So, any help on HTML code (Sample Listing)..? Next issue is pics. I mostly copy pics from Aliexpress and then edit. So, I dont need product clicking tutorial. I need help on editing pics suitable for your own shop and giving them professional look. I know I am asking for something non-legitimate but I am sure most of the people copy pics. I just dont want to only copy but do some awesome editing and then put up in listing..
used to ship by Singapore Post really fast. Tracking used to start in 1-2 days. Also, prices were good. Some days after, my aliexpress transactions with him started getting rejected (due to card verification drama is aliexpress which tat\kes real long). From that day till today, I started doing transactions with my supplier on paypal. He sends invoice and I pay it. For hot selling models, I get it from him in good quantity and maintain warehouse. For low selling, whenever I receive order, I ask him to dropship directly to my client. His advantages to me are fast shipping and less defect rate. But problem is that I am banking on single supplier. His problems are sometimes, reply on skype is late. Main problem is when the product is found to be defective. For example, I also sell LCD assemblies of smartphones and for some phones, single piece is upto 100 USD. Now, he ships to my client and lets say, my client after recicing says that some pixels are dead. I contact this supplier and he is like he shipped after testing. It must be my client’s mechanic fault or sometimes he says, my client is fooling us etc etc etc blaah blaah. I mean to say returns-refunds-replacements are not so pleasant with this guy. Its kind of task. What do you feel..? What should be my strategy in fiding a good supplier..? Should there be mutually agreed policy before starting business…? If say I buy 20 Pieces of LCD assembly of xyz smartphone and after 2 months, problems are reported from of my clients. The supplier should be good enough to take those 3 pieces back and give me resolution. Right..? I am asking all this because I want to know am I too gentle with my existing supplier or do everyone take losses easily if products are reported to be defective. 1) It depends on how reliable that person really is – can you trust him 100%? If yes, I see no problems in doing this. 3) Sorry, don’t understand what you mean. Pictures – if you can’ do editing on your own, you can hire a designer on Elance who can improve the images, add watermarks etc. 4) If you’re dealing with such sensitive, electronic items, you should definitely have a warranty/replacement policy in place with supplier. 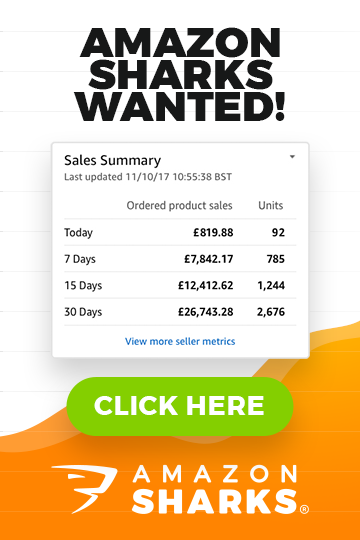 Typically supplier should offer a 12 month guarantee so within that period you can send defective and DOA items back for a refund or credit on next order. Great to see all is going strong for you, the new office is great! Thanks for a very interesting article, i agree dymos are amazing I used them solely for barcode printing through and use integrated labels for shipping labels as it tends to be quicker with our setup. I was wondering do you have your stock in your new office? Or do you run both an office and a warehouse? I ask as I have a 2000sqft warehouse and I’m looking into separating everything inside into small portakabin/offices because it isn’t energy efficient to heat a full warehouse this size 8hrs a day. I was just wondering how you found your setup for your stock and do you heat the area where stock is located considering employees will only be In there a short while? Yes, I have few rooms dedicated for stock storage. As we mostly deal with very small and small items, I can simply store them in the office space. yes, on pallets but freight forwarders we use have equipment in trucks to un-load pallets. Once that is done, we just manually get everything inside. Is it the 27″ iMac? I’ll be switching from windows to mac next year. 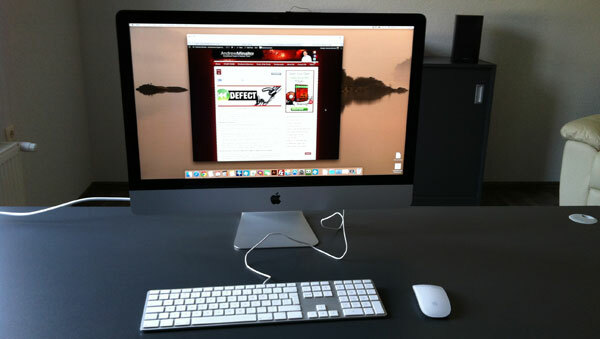 Yes, that is my new 27in iMac. Fantastic! Nice to hear your good news! Enjoy your mac and new office !